I've decided to start collating my beauty finds for each month in one place. Some things are new, some are just new to me, some are things I've been using for a while but feel I can fairly review, some are gifted (noted), some I've bought, all are things I've actually used and rate. Opinions are always my own and entirely honest, but obviously based on my (very normal) personal experience and (fairly normal?) skin type etc. Prices are partly plucked from my memory and always rounded because, numbers. Dirty protest or face scrub? People keep their distance either way. A scrub is a guy that thinks he's fine and is also known as a buster...also known as crunchy stuff you can rub on your face though. The true star here, and a totally unexpected one is the L'Oreal Glow Scrub. I received this in a goody bag and decided to give it a go, as I've NEVER actually used a sugar scrub before (Boy, I don't want no scrub, a scrub is a baller that gets no love from me... nah seriously though,I've always worried they'd be too scratchy and sticky). First impressions were...hysterical laughter, it came out of the jar the colour of baby poo from hell, and looked similar when I smeared it on my face. You add water to massage and dissolve it in to the skin, but first I had to walk around the house to show Sam and gross him out a bit. Fortunately, it doesn't smell like baby poo, it has a very light orangey scent. It massages in easily with warm water on your hands and leaves my skin looking and feeling smooth and soft. The next morning I can tell the difference too. The jar suggests using 3 times a week, and so I've followed that and still love it about 4 weeks in. 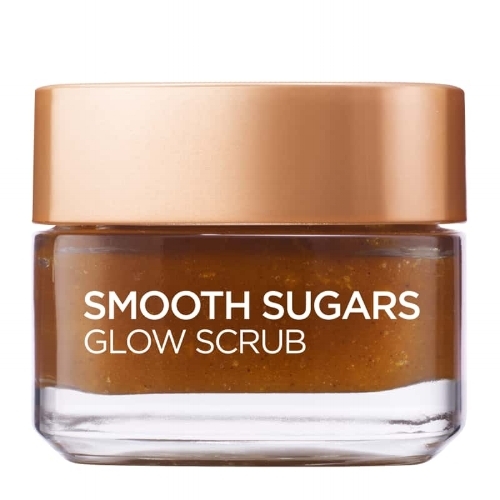 If I'm recommending anything to anyone at the moment, it's this stuff, and I'm surprised as anyone that a sugar scrub from the supermarket is my current face favourite. There are 3 different ones in this sugar scrub range, the glow one is the orange (poop) one. Now, kind of the complete opposite to a local, independent product. The Pop Nails X MA hand balm ($34) made by the amazing Mark Antonia right here in Auckland, I can't quite nail (Ha!) what the scent is of this stuff (ok, just looked it up and it's Dark Amber, Cardamon, Saffron and Cacao, um, yum) but it is beyond divine. I've never been great at regularly moisturising my hands, but I love this stuff so much I'm using it at least twice a day. It gives great moisture but absorbs really easily, so you're not ol'greasy hands for 30 mins after using it. I'm definitely going to be picking this up for special gifts for nice people. Rose in the Air palette by Wet n Wild, image by the epic Temptalia. The "Rose in the Air" eyeshadow palette by Wet n Wild had me raving all over instagram a while back. I told my sister I'd get her one but then it was then out of stock at the three Farmers stores I went to. Admittedly I'd kept a wide berth from Wet n Wild previously, because, well, it's called "wet n wild" but i'm glad I got over my prudish snobbery. 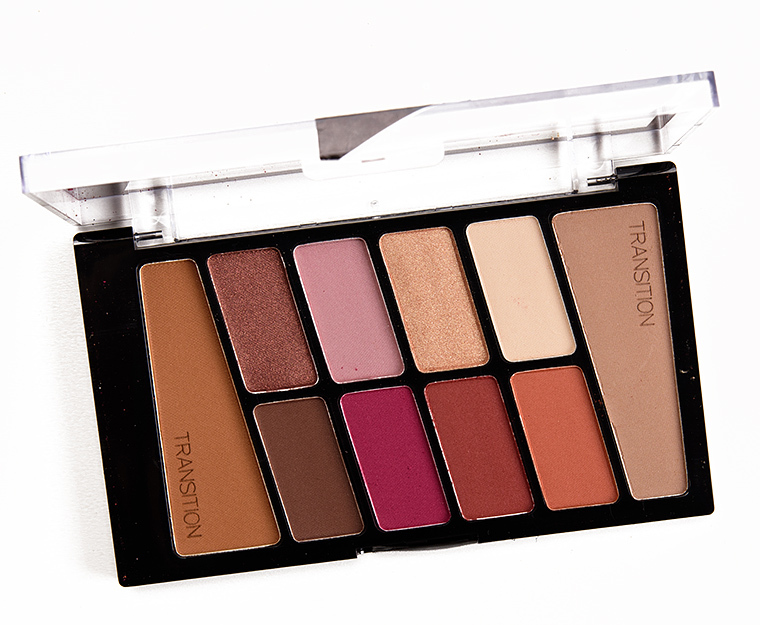 For $12 NZ, it's a palette of all my favourite colours (red, pink, brown), and cruelty free too. The pigment and staying power is excellent and it became an instant staple for me. The packaging isn't flashy, but the product is ace and I've since bought another version too (and found one for my sis). In my hunt for a photo for the post I discovered it's a dead ringer for the much pricier Anastasia Beverly Hills "Modern Renaissance" palette (who names these things? Can I get that job?). The HOURGLASS Ambient Lighting Palette aka a block of gold, guard it with your life. Ok, my last discovery for this round, was recommended by my friend Martha. Our friendship heavily relies of a trust in taking each others product recommendations, so despite the shop assistant being quite unhelpful I just bought the Hourglass Ambient Lighting palette anyway. It's a palette of 3 of the Hourglass ambient powders with a kind of neutral one, a slightly illuminating one and a slightly bronzing one (ok, I gave in and googled this too - the colours are Dim Light, Incandescent Light, and Radiant Light). At first I was a bit disappointed, I couldn't really tell it was doing anything and it was $100, but as time went on, I figured how to get the most out of each of the tones and I realised that it was giving me a subtle but beautiful glow, like a low key vampire, I was shimmering. All the ways I'd gone wrong with, and become freaked with, heavy or sparkly powders have been corrected by this smooth little number and I'm fully converted. Some days I wear it on it's own, sometimes with a BB cream underneath. Hourglass does single palettes in larger sizes but I really recommend this combo for mixing it up a bit and having a few more options. Last minute update on the Ambient Lighting Palette...I stepped WAY out of my vampire comfort zone and put the bronzer one on as an all over powder. I felt a little weird, it gave me a very healthy glow, my Mum instantly commented "Your colour is up! You look well!" like I'd come out of a 31 year illness, she was delighted. I won't lie, it looked subtly great and I hated to admit that I did, indeed, look "well". So yes, big fan as both sick ginger vampire, and ghost daughter on holiday. Ok, that's it for now but in the words of a guy who loves a good bronzer (but not the one who's a president, ugh), I'll be back.